On top of its attractive, recently-lowered prices by up to £2,000 on many of its most popular versions, Renault has launched an exciting new limited edition, Bizu, to tempt customers looking for even greater value for money. Available until June, the limited edition versions run across the Twingo, Clio, Mégane and Scénic ranges, with austerity measure-busting prices up to £3,870 lower than the entry-level versions of the same model. 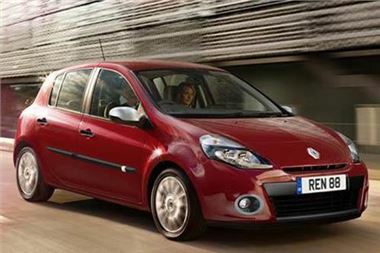 The Twingo 1.2 16V 75 for example, is available for only £6,595, a full £2,300 lower than the standard Expression. For comfort and safety, every Bizu comes fitted with ABS with EBD (Electronic Brake Distribution), Brake Assist and electric front windows. They also feature Bluetooth connectivity for hands-free calls on the move and aux input for plugging in the latest tunes. Turning on the style, Clio versions benefit from sporty touches such as body-coloured rear spoiler and brushed chrome effect front fog light surrounds. The Mégane and Scénic families offer even greater riches, with CSV understeer control, electric heated door mirrors, ESC, air conditioning and keyless car with Renault card. Prices for the rest of the Bizu line-up are just as alluring, with the Clio priced at £8,595, Mégane at £11,595 and Scénic for £12,595. Full pricing is outlined below. As an added incentive, especially for those looking to enhance their existing portable music player collections for in-car use, Renault is offering three free Play.com music downloads just for taking a Bizu test drive. Further information is available at www.renault.co.uk/bizu/default.aspx, on Renault TV on Sky Guide 883 and Freesat 651, or by following on twitter @renault_uk.